Media Processing Center (MPC) provides cost-effective, efficient, flexible multimedia transcoding and processing services for converting audio and video content into a variety of formats for playback on PCs, TVs, and mobile devices. Reduce bandwidth costs by 20% to 30% by delivering high definition at a low bit rate, and for the same subjective image quality. Provide mature, comprehensive SDKs and open APIs for quick access. Process a one-hour media file in just 10 minutes with parallel transcoding, and publish content quickly. Add functionality as needed. Create watermarks, thumbnails, and custom templates, or use preset or intelligent templates.  A one-stop solution that integrates audio and video upload, automatic transcoding, and download acceleration to help you quickly build secure, elastic, customizable applications. Customize transcoding templates to convert media files into HLS, DASH, or MP4 files with different resolutions, bit rates, and frame rates. Identify problems with the source video files automatically, and generate clips for manual review. Enjoy higher definition and better quality for a given bit rate, or use a lower bit rate for smoother playback with the same definition. MPC supports all mainstream formats (H.264 and H.265; HLS, DASH, and MP4). Thumbnails and watermarks are available. Automatic video quality inspection can identify common quality problems and generate clips for manual review. A single transcoding task can output up to 12 channels, each with a different resolution and format. You can use a variety of preset and custom templates to meet diverse transcoding requirements. An integrated messaging service notifies you of the status of your transcoding tasks.